Looking deep into the middle of the mound at the Neolithic passage tomb. At its heart there is a cruciform with two chambers. 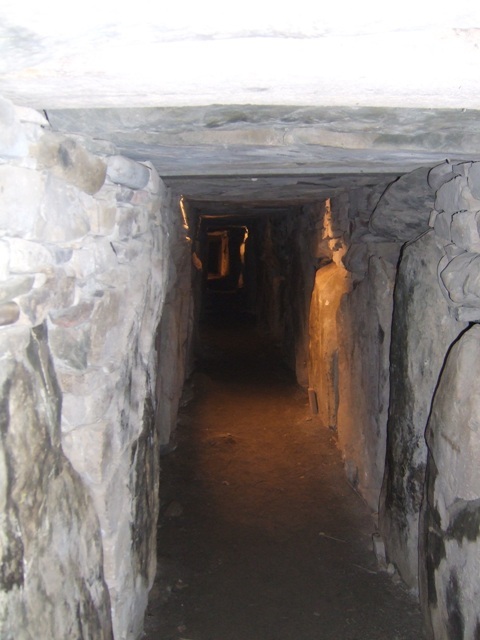 The passages are aligned east/west marking the spring and autumn equinoxes.